This week, Your News to Know brings you the latest stories involving gold and the overall economy. Stories include: Gold will do well with Fed’s focus on inflation, gold is more attractive than bonds as inflation gets ready to spike, and Ron Paul renews his market meltdown prediction. An article on Kitco revealed that one fund manager believes the Fed’s inflation rate goals are the most important indicators of gold prices moving forward. 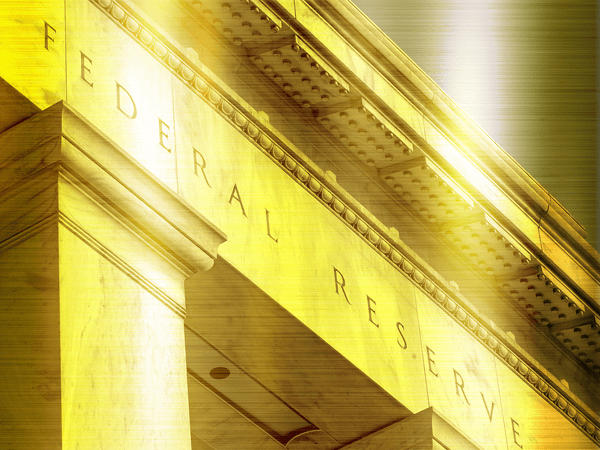 Despite an expected rate hike in June, Axel Merk, chief investment officer and president of Merk Investments, said that the Fed’s desire for higher inflation is bound to support gold over the long term. This stance will serve to keep real interest rates low regardless of hikes, said Merk, which will ultimately determine gold’s movement. Besides inflation, the fund manager is also bullish on gold due to the state of the stock market. Because of the rise in volatility, Merk noted that equities are becoming less attractive to investors compared to gold. He also played down the recent recovery in the dollar, calling it short-term noise with only a brief impact on the gold market. Besides inflation, Merk expects that a tighter monetary policy by the European Central Bank will be another driver of dollar weakness. As the Fed braces for a jump in inflation, gold will beat out bonds to become the most appealing asset to domestic and foreign investors, reports Newsmax. Despite the recent rise in yields, Jeffrey Gundlach, chief executive officer of DoubleLine Capital, said bonds will remain an unattractive option in an environment of higher inflation. Meanwhile, the CEO is very optimistic on technical developments in the gold market. Talking at a New York event held for DoubleLine clients, Gundlach pointed to an emerging pattern in the gold market which suggests good things for the metal. Gundlach suggested that a recent bottoming might have signaled a major move upwards, with gold prices potentially rising by $1,000. He also spoke about how a change in the Fed’s lineup could affect equity markets. In contrast to the previous chair, Jerome Powell is less likely to provide support to stocks in the event of a downturn, having stated that he wants to avoid another 2017-like run. Having correctly predicted a correction in stocks last year, Ron Paul has more words of warning for risky investors. Talking on CNBC’s “Futures Now”, Paul said that all of the fundamentals point to equities being blown out of proportion. The article advises investors to not pay too much attention to optimistic short-term developments that only serve to mask the true state of the market. The situation is much more dire, says Paul, due to the ever-expanding U.S. debt – despite reaching levels in excess of $21 trillion, federal spending continues to increase at an unprecedented rate. Adding to this is the persistent weakness in the dollar, which Paul connects to supply basics. Even if the dollar performs well against other currencies, the former congressman feels there is no taking away the ongoing loss of its purchasing power. To get a real idea of how much money has been printed over the last few decades, investors should focus on the dollar price of gold. Since the Fed was formed, gold went from $20 an ounce to over $1,300, showcasing the intense inflationary pressure that the currency finds itself under. Between further falls in the stock market, more weakness in the dollar and a move towards stagflation, Paul sees gold as the best place to be in. Despite being a noted bullion investor, Paul added that his portfolio could still do with a bit more gold.